The Arson/Bomb Squad reports the details of an aided case on Sunday, August 16, 2015 at 5:20 P.M. in Merrick. Merrick, NY - August 16, 2015 - The Arson/Bomb Squad reports the details of an aided case on Sunday, August 16, 2015 at 5:20 P.M. in Merrick. According to detectives, a male, 43 years of age, was in Ceadog Creek in Freeport when his boat began to have engine trouble. The boat was taken to the rear of 3340 Hewlett Avenue where the male attempted to repair the engine at which time an explosion occurred. The aided was thrown from the boat and suffered minor burns to his face, arms and legs. He was taken to an area hospital for treatment for his injuries. The Merrick Fire Department responded to extinguish the fire. 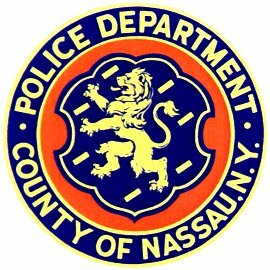 Subject: LongIsland.com - Your Name sent you Article details of "NCPD: Man Thrown from Boat and Suffered Minor Burns Following Explosion While Repairing Engine"